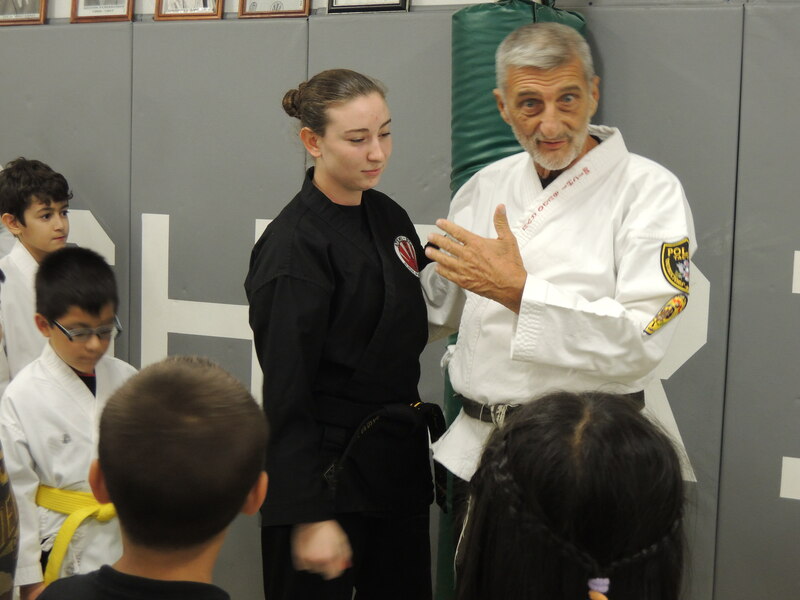 Grandmaster Marchetti has always taken a special interest in sharing his knowledge with those who serve and protect our nation. 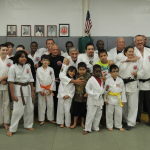 This has manifested in many ways throughout his personal career and extended to his work as the head of the Police Tactics Instructors of America International. 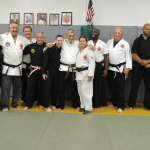 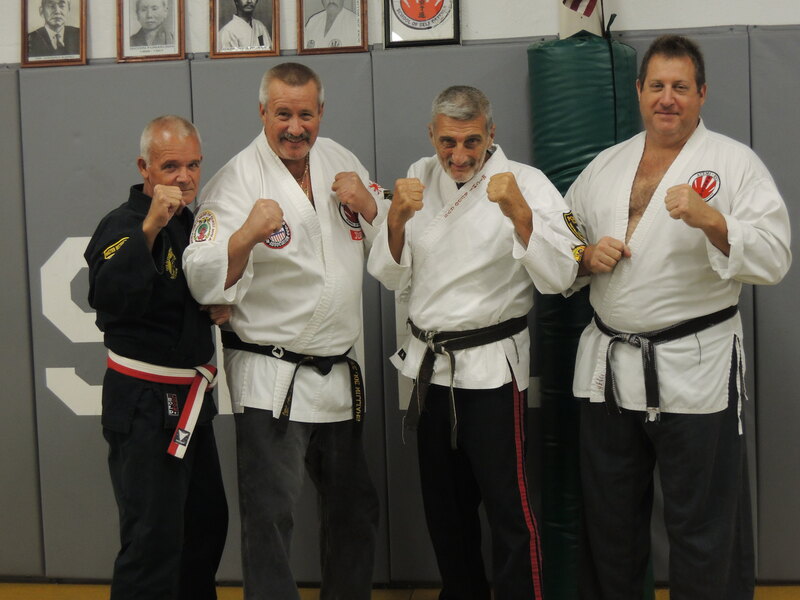 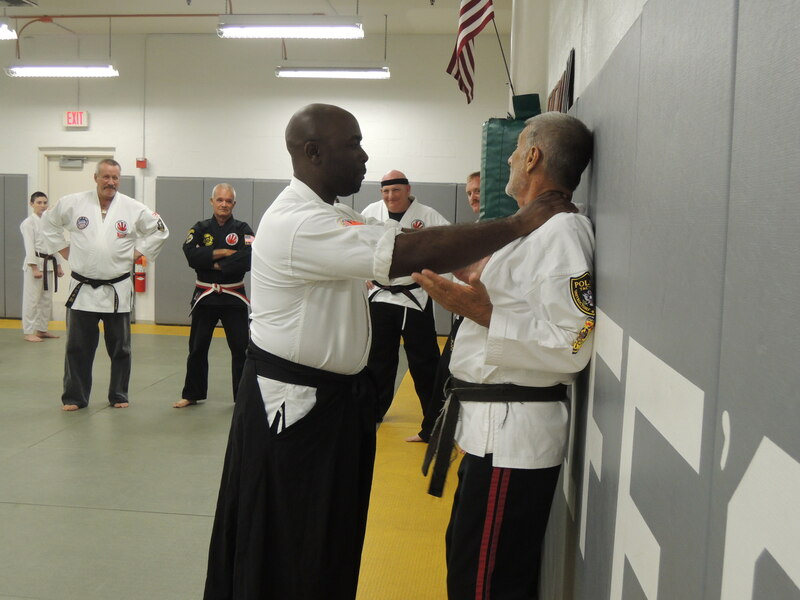 It was a pleasure when recently he had the opportunity to spend a evening training officers from the Broward County Sheriff’s Department as well as other students of his good friend, Officer and Grandmaster Joe Williams. 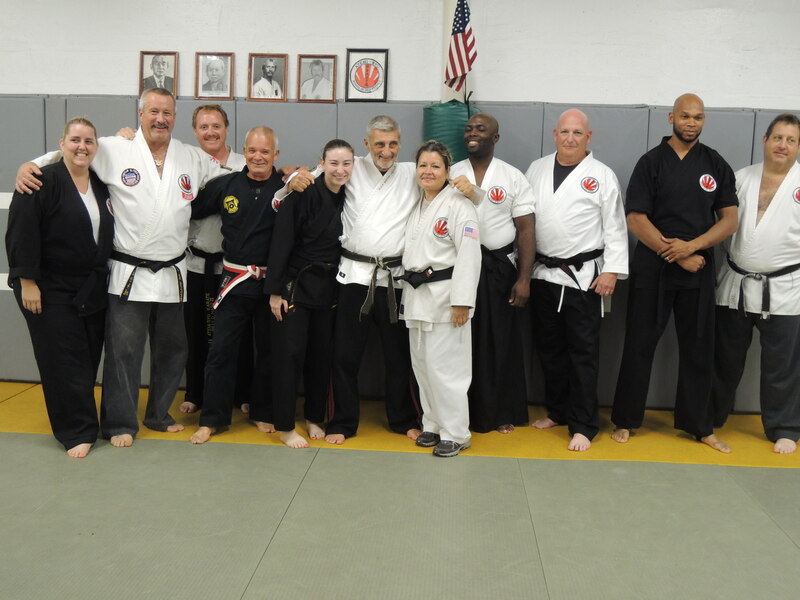 By all accounts it was a great evening for everyone that included education, training and the camaraderie to be found in the martial arts. 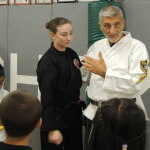 Grandmaster Marchetti also took the time to sign books and cards after the class. 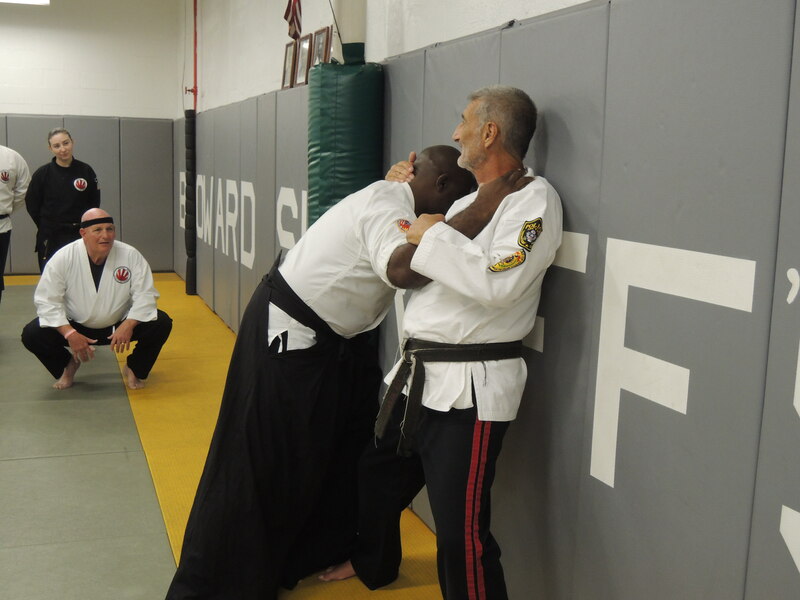 Note: At the bottom of this post you will find our usual image gallery but I would like to call your attention to the following sections when the camera caught the action in sequence. 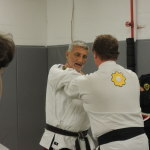 Grandmaster Marchetti demonstrating one possible response to a choke. 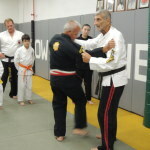 In the middle photo he is showing the relative reach of the position and how to overcome it. 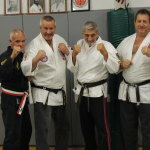 The final photo is the result. 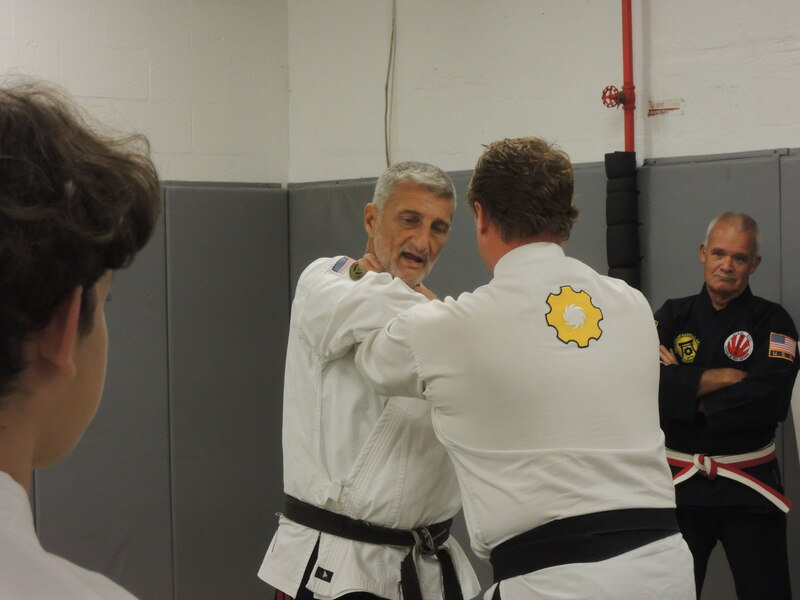 Grandmaster Marchetti showing another response to attack, resulting in a hands free control hold. 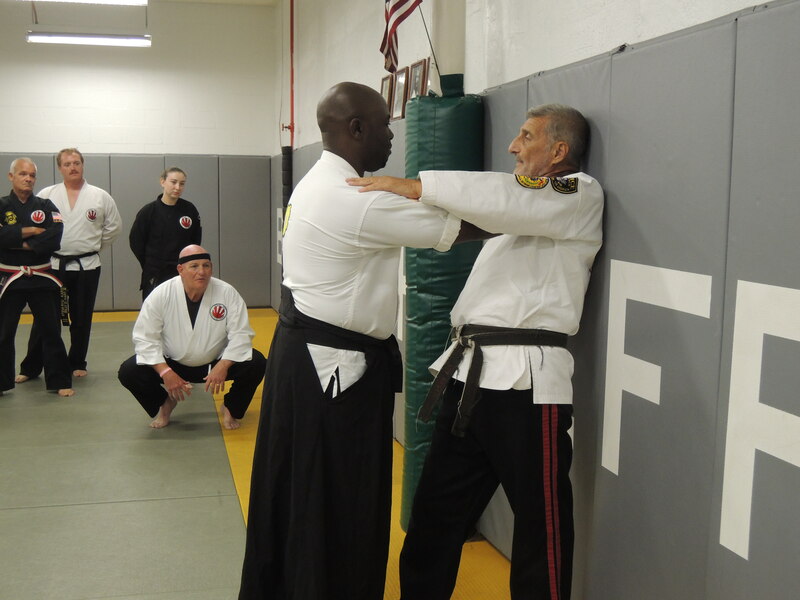 Notice the position of the wrist in relation to the chest, completing the hold. 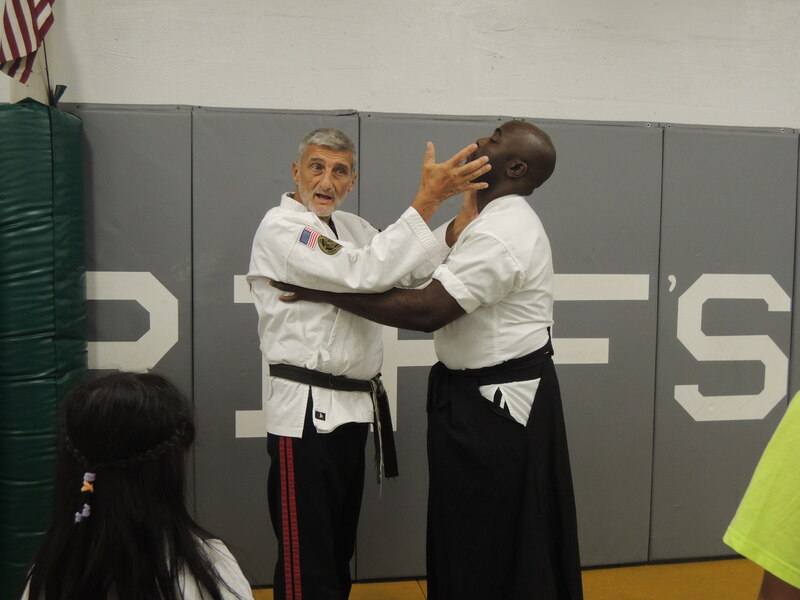 Neck Snap / Arm Bar. 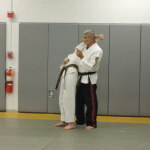 Leading into an arm bar from a grab. 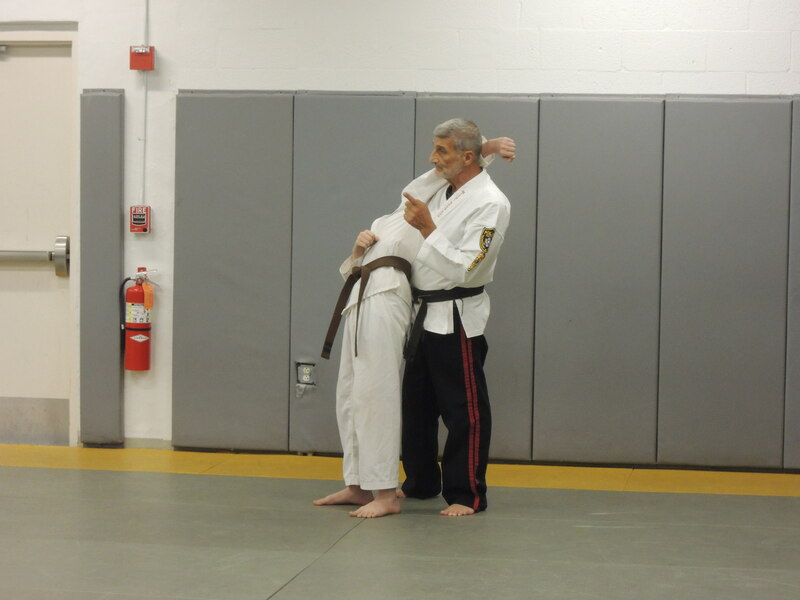 The result, full body control via the wrist. 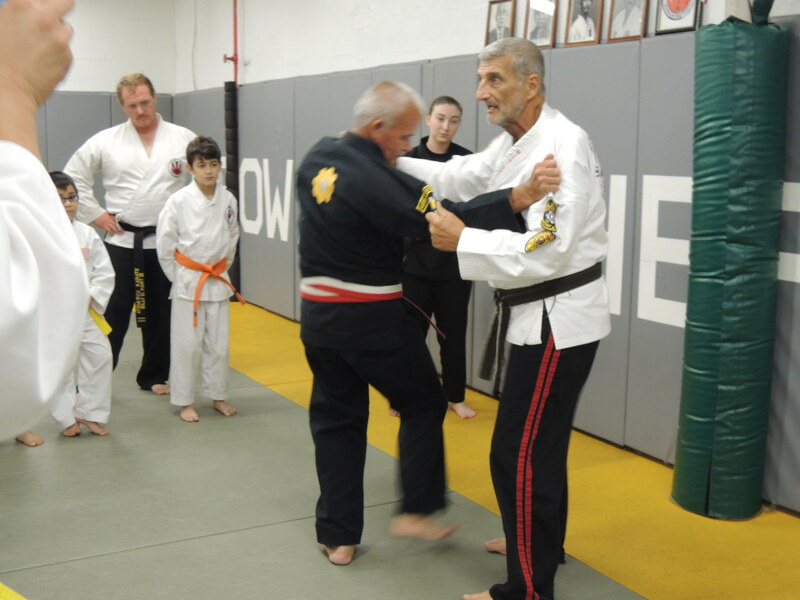 Leg attack / hip throw. 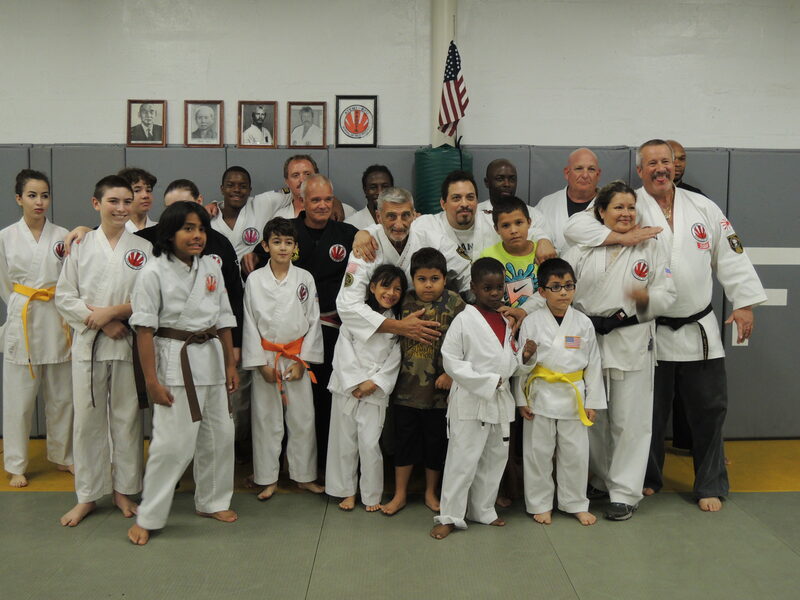 High ranking students and Sheriffs. 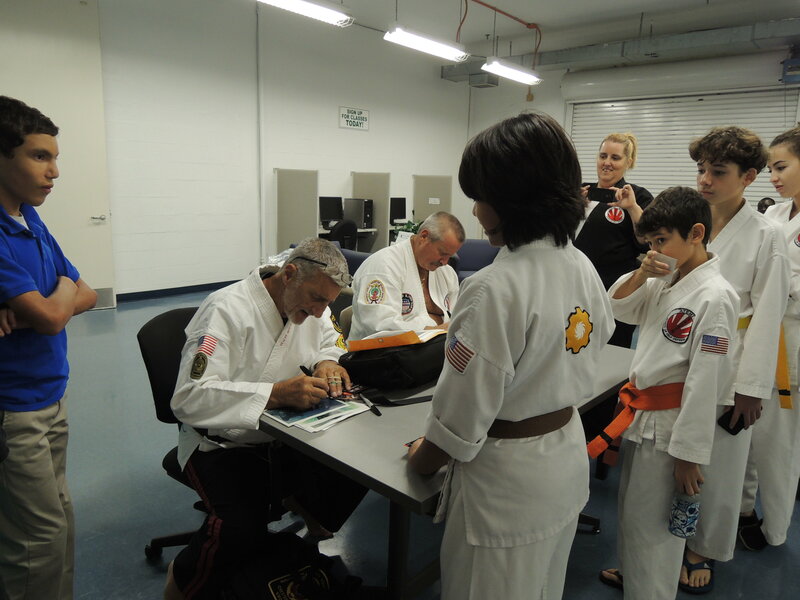 Grandmaster Marchetti and Grandmaster Joe Williams signing card and books for those who attended.